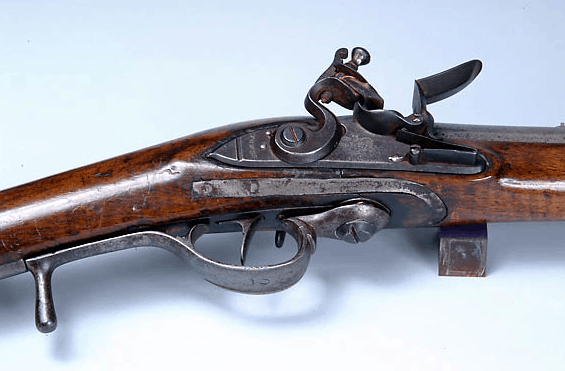 The Model 1776 Ferguson is a .65 caliber, breechloading rifle that shoots a .615 caliber cartridge. It weighs about 7.5 pounds and can be used to fire up to 7 rounds per minute. The rifle was designed around 1770 by Patrick Ferguson, a Scottish officer in the British military. 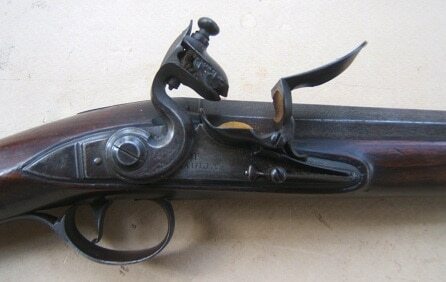 Ferguson received an English patent in 1776 and in total about 100 units were produced. 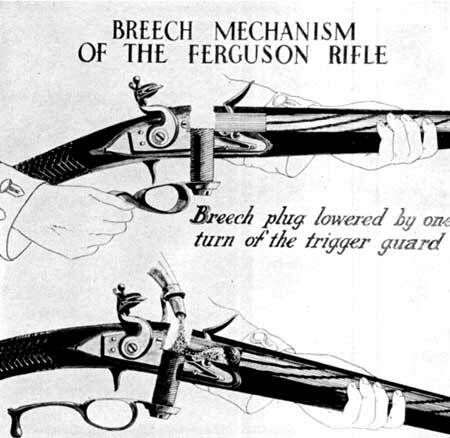 Ferguson was granted a small unit of troops to lead armed with his new experimental rifle. The unit saw action in some battles in the American Revolution, leading to the wounding of Ferguson at the Battle of Brandywine. With Ferguson injured and recovering, his experimental unit was disbanded. The rifle was expensive to manufacture and experienced some issues during rough use in combat. 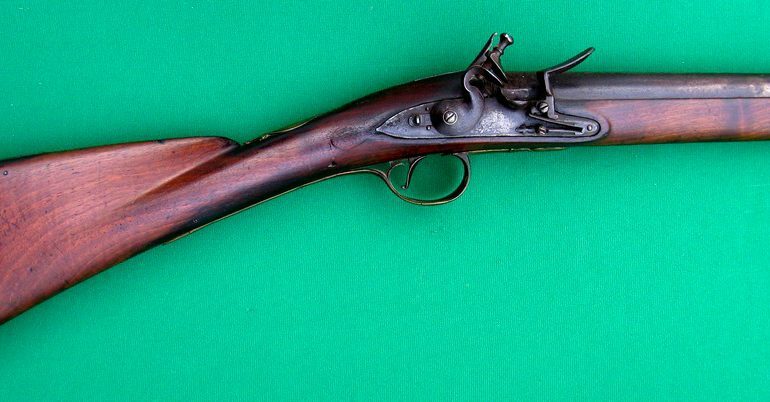 The British Land Pattern “Brown Bess” was cheaper and faster to produce for the several wars Britain was engaged in at the time, so efforts focused there and the Ferguson rifle didn’t see large volume production or use. for more details, click here.